Universal CalcRibPR Premium Quality Compatible Purple, 6 pack, Calculator Ribbons designed to work in the Various Calculator Models Calculators. The use of compatible supplies does not void your printer warranty. New DataProducts R1116 Purple Calculator Ink Roller for the Anker 252205/ 252299, BMC CR760, Casio 230ER/ CE2300, Epson CR750 calculators. 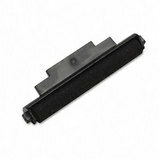 Replaces the Epson IR93P ink roller. 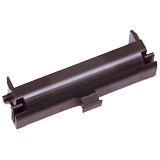 New DataProducts R1120 Black Calculator Ink Roller for the APF 125A, Adler-Royal 8212PD Nova/ 8212P Carat/ 210R/ 12XRD/ 8212/ 45HP, Canon P-12D/ IMIR72 calculators. Also fits some Casio, Texas Instruments, and Victor calculators. 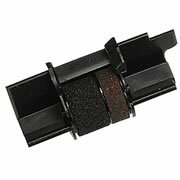 Replaces the Canon CP-7 ribbon. 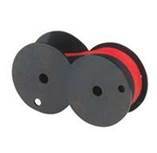 New Dataproducts R1427 (IR-40T) Black/Red Premium Quality Compatible Ink Roller designed to fit the Casio 1215S/ 2215/ 1110/ 2215C/ 2215S, FR-50/ 125/ 125S/ 127/ 32/ 2215P/ 320/ 520/ 2650DT/ 2650Plus, HR-18/ 21/ 100LC/ 120T/ 150LC/ 150LC+/ 150LCS/ 100TEPlus/ 150TEPlus; Canon® P15-D/ 20H/ 22D/ 23DHIII/ 23DHII/ 23DHV/ 26DH/ 32D/ 200DII/ 200DIII, MP-12D/ 120DH/ 120DL/ 120DLE, 120DH/ 121DH/ 170DH/ 2001/ 220DH, CP-13; Sharp 1620/ 1620S/ 1626/ 1750P, EL-1801P/ 1801PII/ 1801PIII, Z192/ 1614/ 2192/ 2620/ 2626/ 2628, VX-1614; Calculators. Replaces the Casio IR-40T ink roller.